Music cable channel Mnet broadcasted the first special clip of its new entertainment series, “Hit the Stage,” on Wednesday. “Hit the Stage” is a dance show where k-pop idols and professional dancers form a team and compete. The lineup for the show involves talented idols such as Ten from NCT, Hyoyeon from Girls‘ Generation, Taemin from SHINee, Bora from Sistar, U-kwon from Block B, Hoya from Infinite, Momo from Twice and Shownu from Monsta X. 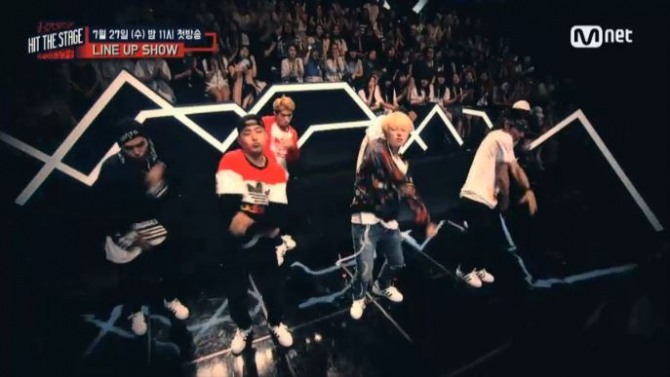 Based on the clip, each idol showed off one’s unique choreography in order, and at the end they all gathered on stage and danced as a team. Every week, the dancers will receive a new topic upon which they should create their choreography. The first episode of “Hit the Stage” will be broadcasted on coming Wednesday at 11 p.m.